Poets from Portland & Beyond at the Market! Announcing our 2018 Season – 12 Poets from Portland & Beyond! 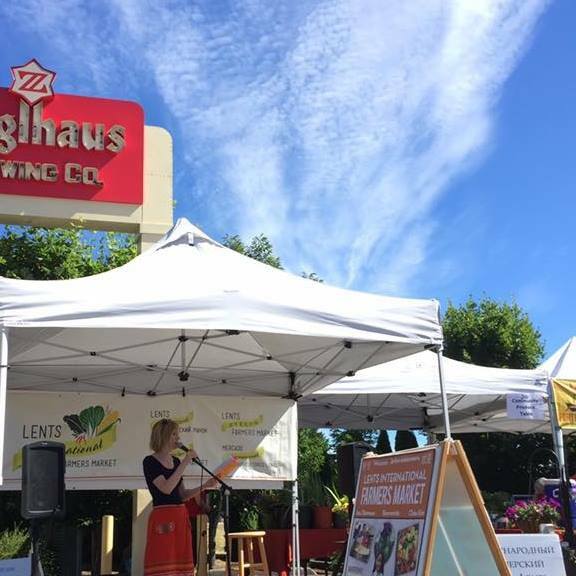 We are so excited to bring you three mornings of poetry this summer, at the Lents International Farmers Market in SE Portland – Sundays at 9:30-10:15, July 1, Aug 5 and Sept 9. The Lents International Farmers Market Poetry Series began with a chance meeting in the forests of Oregon’s Coast Range. Meredith Stewart and I connected immediately over a communal fire and Peruvian stew – both Lents residents, poets, women who biked (! ), who had a love for our little rugged, urban neighborhood. We wanted to have a venue for emerging poets in Outer Southeast Portland, a place that is often overlooked for its past history of crime and poverty, but an area that is rich in culture and down-to-earth-people. So we took poetry to the Lents International Market, where we knew many diverse paths would cross. 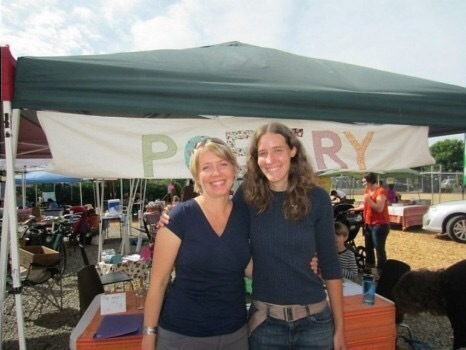 Since 2012, (every year except for 2015), we have featured over 30 emerging and established poets share their work amidst the hustle and unpredictable bustle of a Sunday morning farmer’s market. The result has been poignant harvests of words and new friends. You can connect with us on Facebook, where we feature a poem a week from one of our readers, and share local poetry & art news from the community. Echolocation – poems, available now! Sign up to receive updates about readings and other publishing news. © Kristin Berger, 2019. Unauthorized use and/or duplication of this material without express and written permission from this blog’s author is strictly prohibited. Excerpts and links may be used, provided that full and clear credit is given to Kristin Berger with appropriate and specific direction to the original content.